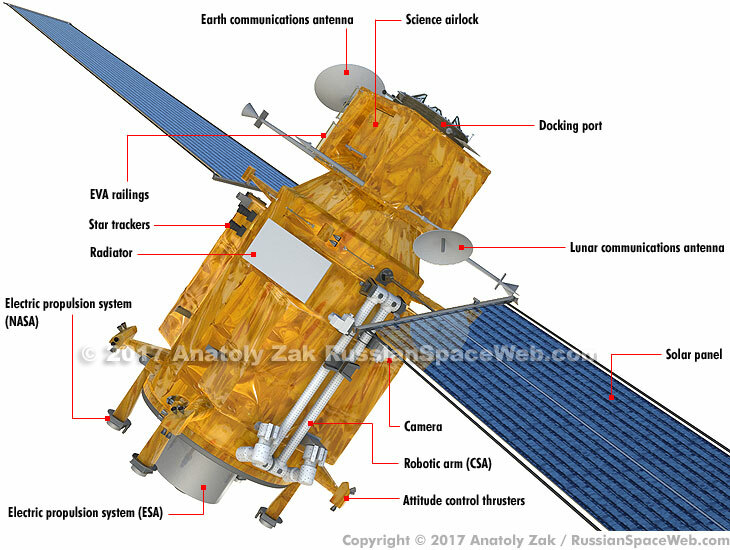 According to plans made in 2016, the assembly of the human outpost in lunar orbit will begin with the launch of the Power and Propulsion Bus, PPB, which will take care of all the orbital maneuvering, while also providing power and communications for the future habitat. For the first time in human missions, the unpressurized PBB vehicle is expected to feature state-of-the-art ion thrusters built in the US and Europe. A similar propulsion system could be used one day for a mission to Mars, making the PPB module a critical test bed for the future. 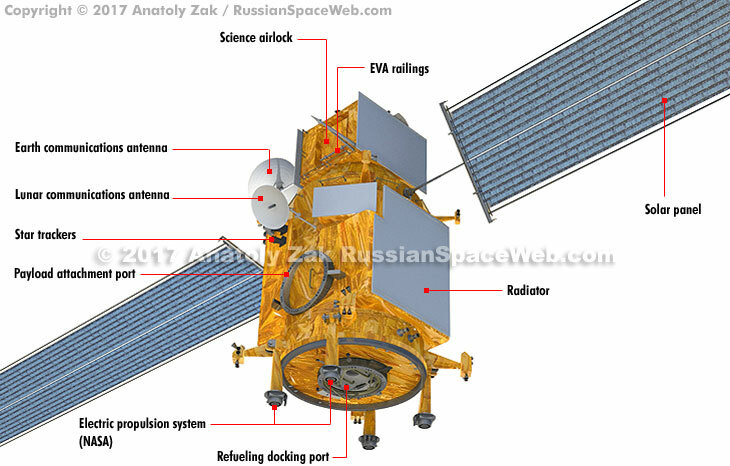 Power and Propulsion Bus, PPB, for the International Manned Platform in cis-lunar space as of October 2016. 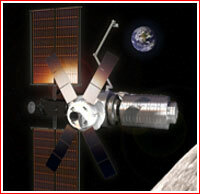 The box-shaped Power and Propulsion Bus will be a unique components of the cis-lunar station, not present in the current design of the International Space Station, ISS, where propulsion functions are provided by the Russian Zvezda Service Module, SM, while power primarily comes from US-built solar panels. In contrast, PPB will have no pressurized compartment with the exception of a small airlock designed to expose scientific instruments and samples to space. As of 2016, the architecture of the PPB included two major parts: the Solar-Electric Propulsion module, SEP, and the Communications/Utilization Bay. The design philosophy behind the module aimed to minimize all interfaces between the systems inside and outside the spacecraft. The PPB module will be docked to the rest of the cis-lunar station via a standard docking port. 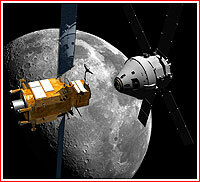 On its way to lunar orbit, the module will also carry a Canadian robotic arm, so it becomes immediately available for assembly work and experiments. In 2016, the European Space Agency, ESA, agreed to contribute its own electric propulsion system for the module. 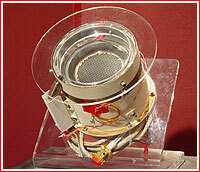 The European-built Hall Effect Auxiliary Thruster, or HEAT, was accommodated along the center line of the module in a self-contained pod. Attached to the aft end of the module, the HEAT unit replaced a backup docking port previously considered for that location. Unlike two pairs of NASA's small electric thrusters attached via special gimbals to the periphery of the aft section, the much larger European engine will have no steering capability. 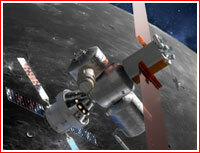 The new engine is expected to provide a specific impulse from 1,800 to 3,000 seconds, giving the outpost considerable maneuvering capability in the low gravity of the lunar neighborhood. Both, European and US thrusters will be able to fire simultaneously and they all will be fed from a centralized xenon supply system. In addition to the main electric propulsion system, the PPB module will also have eight clusters of small attitude control thrusters burning hydrazine. Radiator panels and handrails for spacewalking astronauts will be strategically spread out around the body of the module. The propulsion part of the module will also carry a pair of huge solar panels, producing between 25 and 30 kilowatts of power each, rechargeable batteries, four xenon tanks, reaction wheels, a flight control computer, guidance and navigation sensors, as well as a data storage system. The smaller section of PPB will house telemetry and thermal systems, along with a pair of antenna dishes and related communications gear for contacts with the Earth and with astronauts or robotic systems on the lunar surface. It will also have an attachment for the robotic arm. A small airlock will be connected to the docking port, so that astronauts on the Orion spacecraft, or in the habitable part of the outpost can place payloads and instruments into the airlock. After the airlock is depressurized, its contents will be exposed to vacuum inside or taken outside by the robotic arm. As of 2016, the launch of the PPB module was expected during the Exploration Mission-3 (EM-3) of the Orion/SLS system in 2023. The flight would last around 16 days, including five days in the orbit around the Moon, where the Orion will undock from the module before returning back to Earth. 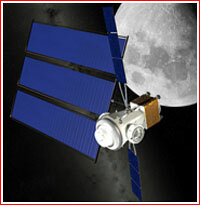 The PPB module will remain in the lunar orbit, awaiting the next expedition in 2024. 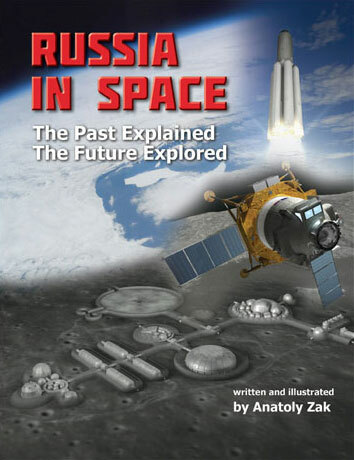 There was some consideration to launch the PPB on a smaller expendable rocket, such as Atlas-5 or Delta-4 and let it use its own electric propulsion system to spiral up from the initial Earth orbit all the way to the vicinity of the Moon. It would take from a year to 1.5 years for the slow-thrusting module to reach its destination, but, as a result, one flight onboard the SLS/Orion would be freed for a payload without self-propelled capability. The self-delivery option for the PPB apparently remained on the table as late as 2016. The Power and Propulsion Module, PPB, as it was envisioned in May 2017. According to the new launch scenario released by the Multilateral Coordination Board, MCB, in March 2017, the launch of the PPB module was moved from Orion's EM-3 mission to the EM-2 mission, which could lift off as early as 2022. That switch apparently put pressure on engineers to reduce the module's mass from more than eight tons to as little as 6.5 tons, probably because the EM-2 was designed to fly a less efficient but safer profile required by the first manned launch of the Orion crew vehicle. To resolve this mass deficit, the MCB apparently decided to bump the Canadian robotic arm and the large European ion thruster off the PPB module, moving both of these components to an unpressurized logistics cargo ship, which would be launched separately in the following years. This change would save the mission around 1.1 tons in payload. Another 1.08 tons in savings would come from a reduced xenon supply for module's remaining small electric thrusters built in the US. The reduced propellant cache aboard PPB would be compensated later, thanks to the newly added capability to refuel the module. 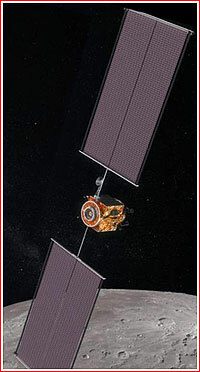 In turn, the refueling of the PPB from a special tanker would require to add a second 142-kilogram docking port on the outer end of the module, which could also accomodate an add-on HEAT thruster. Moreover, engineers decided to add two other docking locations to the sides of the PPB spacecraft for temporary attachments of unpressurized cargo. Also, the supply of hydrazine aboard the module for its traditional attitude control thrusters was to be increased from 200 to 400 kilograms. In October 2017, the partners also agreed to drop a scientific airlock, from PPB. The airlock would be used to take scientific experiments and other payloads from the interior of the station to the vaccum of space. That element was moved to a newly formulated module, known as ESPRIT or CATE. ESPRIT/CATE would also bring some extra propellant for the PPB. Finally, during 2017, the Power and Propulsion Bus was renamed into Power and Propulsion Element, PPE. By August 2017, NASA apparently formed a special team of engineers to work on PPE, taking the experience from the design of the Asteroid Retrievable Mission, ARM, which influenced the design of the module and its electric propulsion system from the outset. On November 1, 2017, NASA selected five industry contractors to study a possible design of the PPE. That research reviewed past, present and future use of solar electric propulsion systems, especially when comparing the cancelled asteroid redirect mission, which was the origin of the PPE module, with planned Gateway's operations. The US industry completed the study on March 23, 2018. A preliminary NASA budget for 2019 drafted at the beginning of 2018, proposed launching the PPE on a commercial rocket rather than flying it as a piggyback payload with the the Orion/SLS system in the EM-2 mission. During a formal presentation of the 19.9-billion NASA budget request for Fiscal Year 2019 on Feb. 12, 2018, Acting NASA Administrator Robert Lightfoot confirmed that the assembly of the Deep Space Gateway had been planned in 2022 with the launch of the Power and Propulsion Element. Depiction of the PPE element by Boeing company circa 2017. Depiction of the PPE element by Orbital ATK circa 2017. Depiction of the PPE element by Orbital ATK and Draper circa 2017. Depiction of the PPE element by Sierra Nevada Corporation, Aerojet Rocketdyne and Draper circa 2017. Depiction of the PPE element by SSL, DSS, Draper and University of Illinois-Urbana Champaign circa 2017.